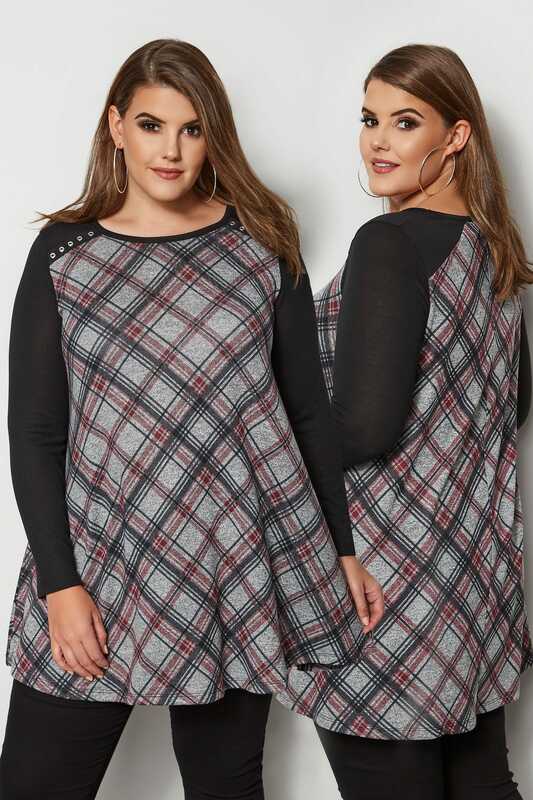 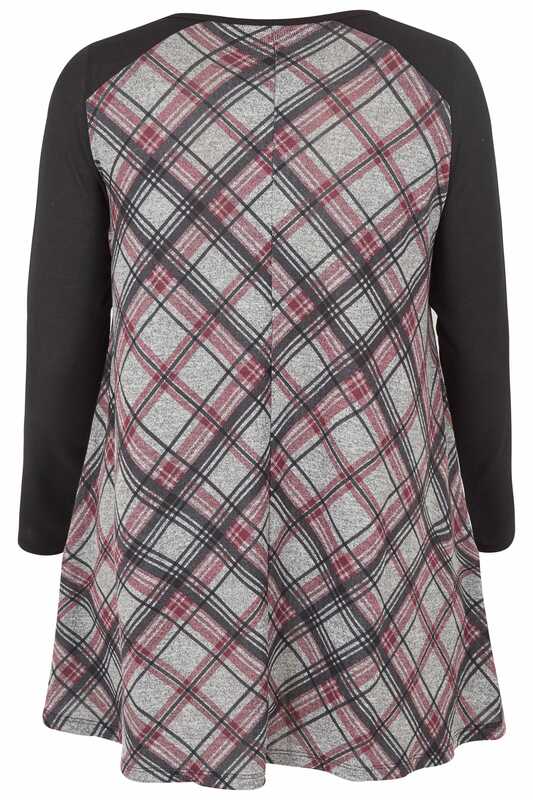 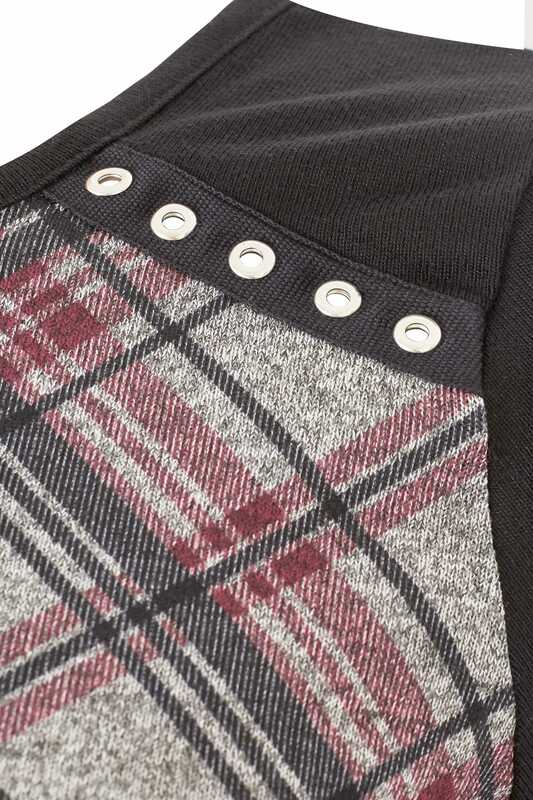 Perfect for trans-seasonal styling, this check print tunic is a must-have for your casual wardrobe. 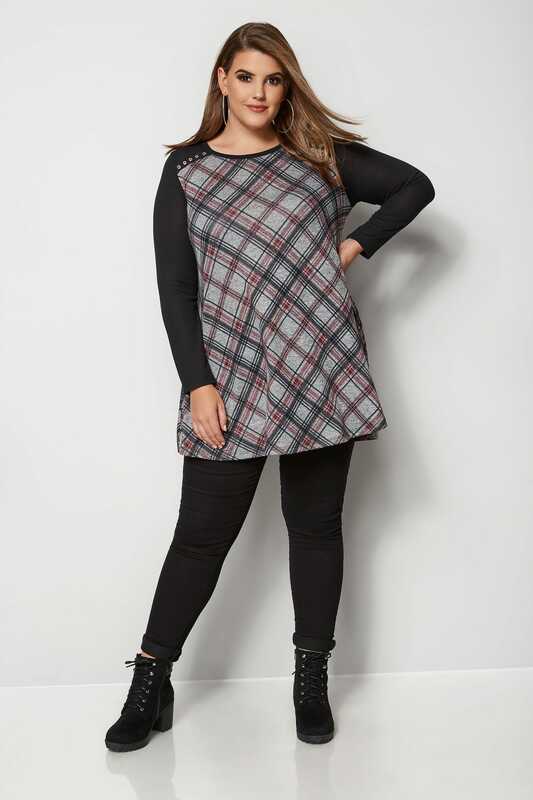 Made from a soft fine knit fabric, it features eyelet details to the shoulders, contrasting sleeves and a classic scooped neckline. 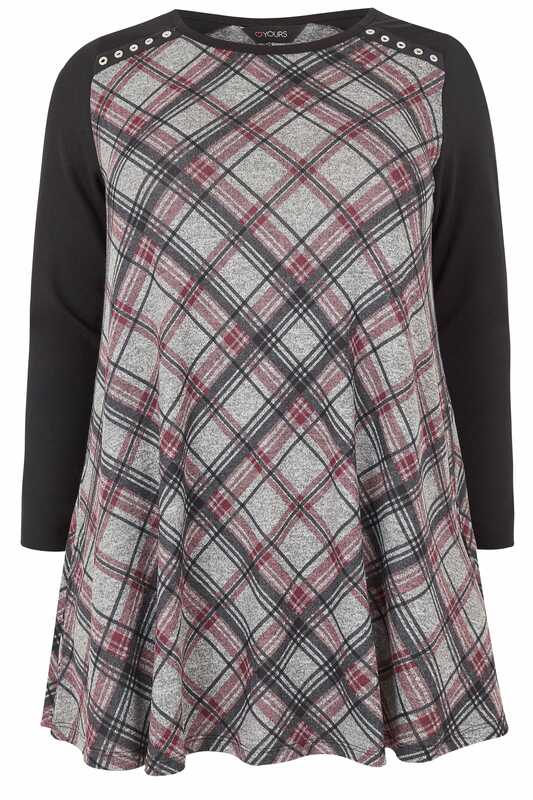 For chic off-duty style, team it with your favourite dark denim and a pair of ankle boots. 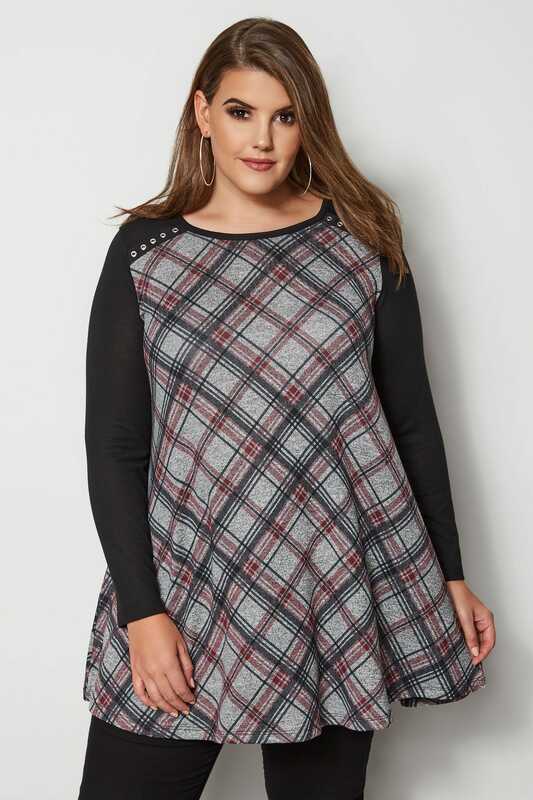 We love the on-trend check print.